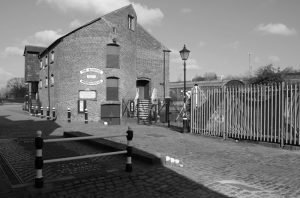 Paranormal Friends invite you to join them on their investigation of The Bonded Warehouse in Stourbridge. After a long and chequered history, The Bonded Warehouse is now, once again, a building serving the community. 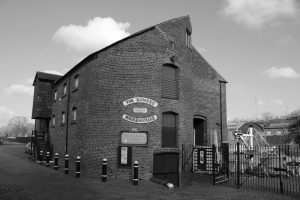 The 3 storey Warehouse with its unusual semi-circular end and with the earliest parts of the building dating from 1799, or even earlier, is situated in a lovely setting alongside the Stourbridge Town Arm Canal where a number of narrow boats are permanently moored. There are many reports of paranormal activity such as unexplained noises, children’s voices and even including apparitions. Why not join us to see what we can unravel of this intriguing building’s fascinating history? Stourbridge had developed as a river crossing as early as the 15th Century with a nearby bridge. The Stourbridge area was very important throughout the industrial revolution, with many goods manufactured locally ranging from glass to nails and chain and many other things too. Transport was always a challenge and so Viscount Dudley, other landowners and industrialists planned a branch of the Staffordshire and Worcestershire Canal joining Stourbridge to the wider canal network. It eventually opened in 1779. It even led to John Bradley building his iron works very nearby. This expanded trade considerably. As for the Bonded Warehouse, it is a three storey building with walls up to thirteen inches thick and an unusual semi-circular end, the reason for which no one can explain. 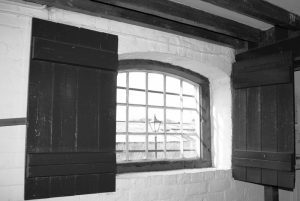 The Bonded Warehouse held taxable goods such as tea, spirits and tobacco “in bond” until an importer redeemed them by paying the appropriate level of excise duty. The barred windows and heavy barred doors of the warehouse bear witness to the high value of the goods once stored therein. The earliest part of the building may date from 1799 but could include parts of a single storey building from the 17th century. By 1829 a second storey had been added and it was extended again in 1849 during the Canal Company’s most prosperous period. 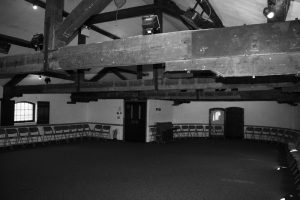 Internal cast iron columns have slots to take horizontal boards thus permitting an entirely flexible compartmentation of two of the building’s floors. We may try some of the experiments we were introduced to by our associates of the Australian Paranormal Society too! Please feel free to bring your own investigation equipment and certainly a torch. Please note there is no wheelchair access and the road is cobbled and therefore uneven, making access troublesome for people with walking difficulties. Car parking: You will be directed to the car park on site.